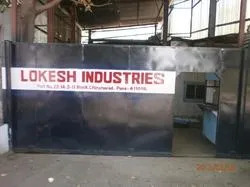 The leading Manufacturer and Supplier firm of superior quality Perforated Sheets & Components, Lokesh Industries was established in the year 1987. To uphold the provisions of future scale up, we are currently managing a broad product portfolio of quality approved components, including Galvanized Perforated Sheets, Press Components, and Industrial Metal Perforated Sheets. 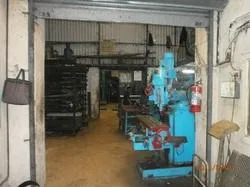 Our offered products stand due to the advantageous features of premium quality material, corrosion resistant properties, accurate dimension, high tensile strength, and low cost maintenance. We possess production proficiency, which would not have been possible without the technological adeptness of our highly dedicated team members. We use latest technology and highly advanced manufacturing aids to furnish the evolving client needs with utmost perfection. Our team works with a focus on client’s perspective, to develop economical range of products that not only surpasses the competition, but also exceeds the expectations of various industries. Owing to our three decades of undisputed leadership in the industry, we are garnering diverse needs of many clients across the country, including Tata Motors Ltd.; Thermax Ltd.; and Alfa Laval India Ltd. Under the valuable guidance of Mr. Lokesh Jain, we have gained a strong multi years leading position. 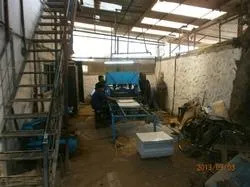 His varied industrial expertise guides us to develop finest range of products to have the pleasurable business association that is result of quality production and timely delivery. We are proud of having a team of highly qualified and skilled experts. 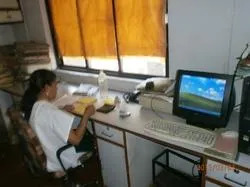 Our team comprises of highly experienced manufacturing experts, quality control associates, trained technicians and engineers, along with skillful workforce and marketing personnel. Our team is an optimal combination of specialization and clever decision making abilities, which equips us to get higher performance from every business activity. We have implemented a number of advancements and integrated business strategies to gain a leading repute. As an organization we have been surpassing the competition from over three decades by developing innovative perforated sheets and other industrial components. We continually strive for excellence, which is just not in theory but also put to practice by delivering equitable price range with timely awareness.